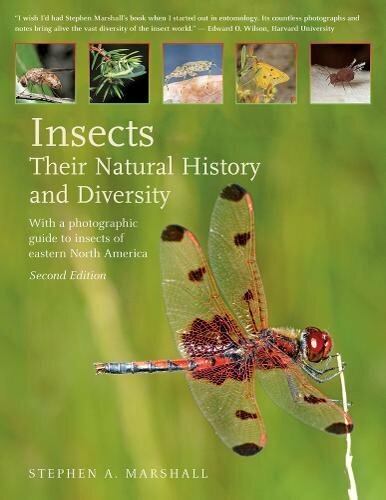 If you want a book full of cool photographs of insects in action—not pinned specimens—check out Insects: Their Natural History and Diversity: With a Photographic Guide to Insects of Eastern North America by Stephen A. Marshall. This is one of the best insect identification guides out there, and its I.D. keys are sophisticated enough to make it a favorite of working naturalists but simple enough to make sense to an interested amateur. 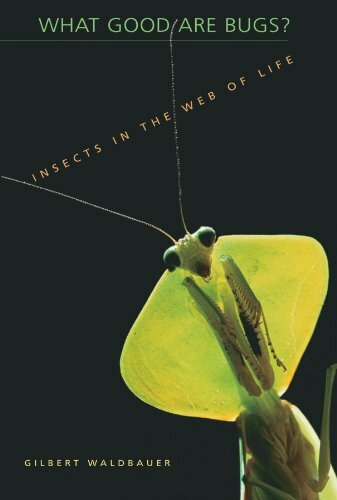 And if you just want a book to flip through and look at awesome bug photos, this is a good bet for that, too. 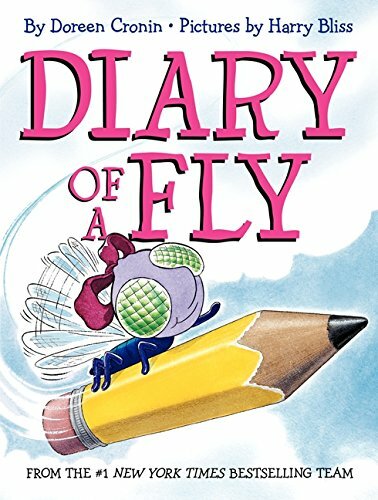 For younger readers, Diary of a Fly is a funny, whimsically illustrated, and fact-filled text-heavy picture book about a fly who wants to be a superhero—after all, she can fly and walk on walls, right?—and maybe get a break from her 327 brothers and sisters. 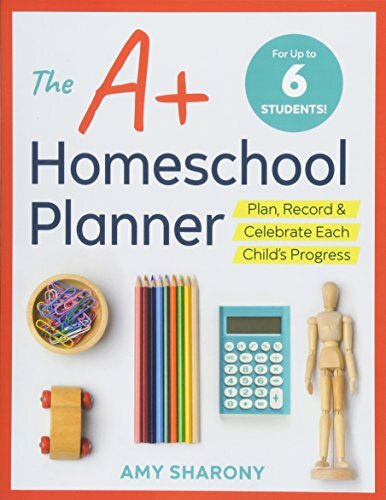 There are lots of gross and funny details that will make younger kids giggle. 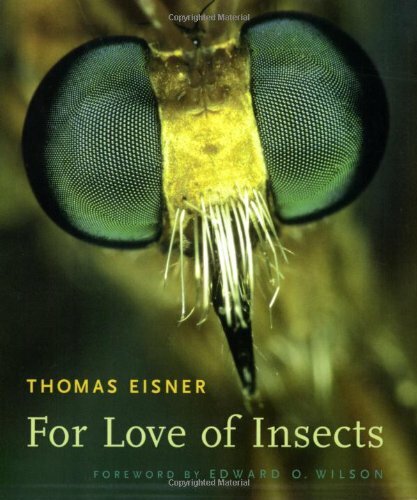 For Love of Insects by Thomas Eisner always seems to show up on entomologists’ recommended reading lists, and it’s easy to see why. The book paints the lives of tiny insects on an epic scale: Beetles who spray their enemies with boiling hot ejections, caterpillars who disguise themselves by dressing up in flower petals, moths who hold their mates for ransom. 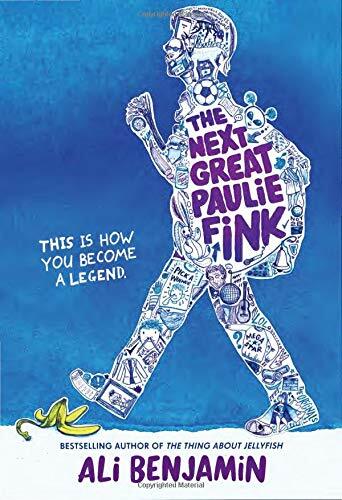 Eisner loves the complex, fascinating world of insects, and he makes you love it, too. 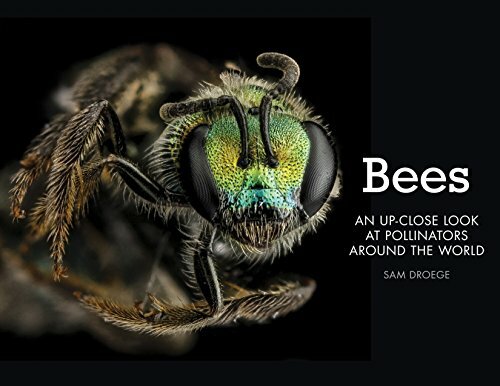 The photos are what make Bees: An Up-Close Look at Pollinators Around the World by Sam Droege and Laurence Packer so amazing—they were taken as part of the U.S. Geological Survey Native Bee Inventory and Monitoring Program and feature incredibly detailed pictures of bees. My kids were fascinated by the lengths the photographers went to get those great photos, including using teeny tiny pins to gently remove dust from the bees’ bodies. In What Good Are Bugs? : Insects in the Web of Life, Gilbert Waldbauer combines stories from entomological history with his own research to describe the role of insects in ecosystems. Reading about ants growing “hanging gardens” in the Amazon rain forest or imagining a world without the useful, sanitary services of maggots and beetles really gives you a new appreciation for the amazing contributions that insects make to everyday human life. 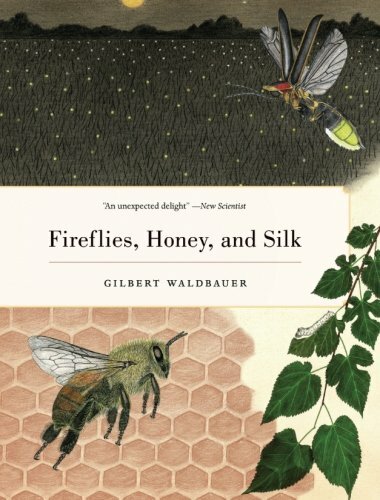 Another of Waldbauer’s books, Fireflies, Honey, and Silk embraces a multidisciplinary approach, taking you inside the significance of insects in science, history, poetry, mythology, literature, medicine, ecology, and forensics. Waldbauer’s an entomologist, and his book illuminates the ways insects have made our lives richer places—economically, culturally, and aesthetically. 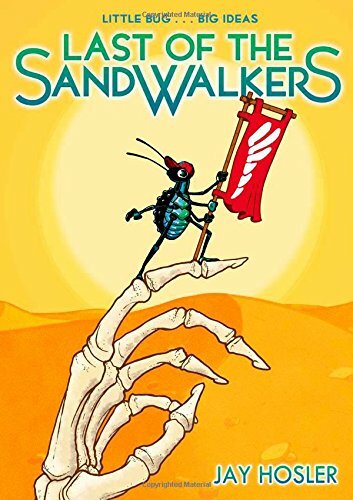 Jay Hosler is a biologist who studies bugs, but in our house, he’s best known as the author of The Last of the Sandwalkers, a graphic novel about a community of beetles who discover they are not alone in the world. 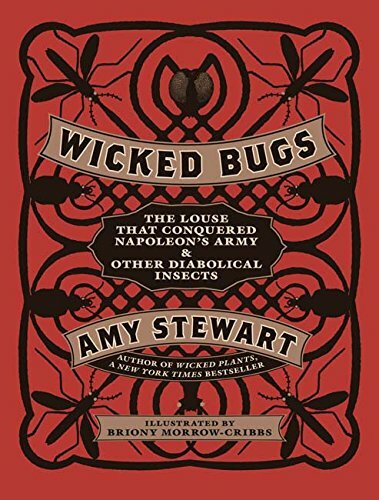 Though it’s not technically a children’s book and does tackle some complex issues, notably the perpetual tension between traditional authority and the thirst for discovery, bug lovers will appreciate the delightful illustrations and really charming story.